James is a graduate of the Howard Fine Acting Studio Full Time program. He previously attended Monash University, where he achieved his Bachelor of Arts, majoring in English, Theatre and Film Studies. He performed regularly with the Monash University Student Theatre company in a number of roles that included lead performances in Spring Awakening directed by Yvonne Virsik (co-production with the Monash Performing Arts Academy), Romeo & Juliet directed by Mark Wilson (with the Monash Shakespeare Company) and The Lieutenant Of Inishmore. Other credits include The Pillowman and Macbeth. James has also been an active member of the Melbourne independent theatre scene, engaging on and offstage in productions with several companies including performances at The Arts Centre. James’s screen credits include independent feature Angel Of Light, shorts Utropia, Skateboys, Rest In Piss, Break & Enter, For Your Convenience and 48 Hour Film Festival finalist Apocabricks. James appeared on stage in the acclaimed 2015 production of Psychopomp at La Mama and recently premiered new work Rainbow Man at Forty-five Downstairs with his collaborative company Goodnight Darlings. James is also the newest member of North of Eight, an independent theatre collective whose inaugural season in 2017 was very well received. In July 2018, he performed in their World Premiere of Philtrum, directed by Peter Blackburn. Jessica is an actor and playwright from Melbourne. After topping the state of Victoria with a perfect score in Drama, Jessica went on to receive a Victorian Premier's Award, the Jennifer Francis Drama Prize, and a scholarship to study at Monash University. There she completed her Bachelor of Performing Arts and performed in numerous productions, including The Pillowman and August: Osage County, the latter for which she was awarded Outstanding Year Level Achiever and a Dean's Recognition Award. Other stage credits include Navy Pier and Ménage, for which she was nominated for Best Performance Award at Melbourne Fringe. 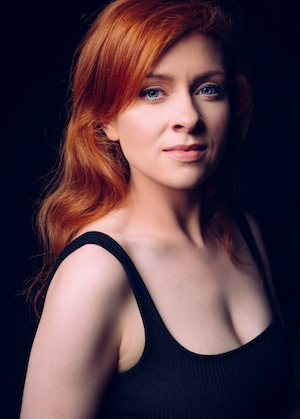 Jessica's on-screen credits include roles on the ABC's The Doctor Blake Mysteries and Glitch. In 2015, Jessica concurrently took part in the full-time program at the Howard Fine Acting Studio, Melbourne, and finished her Bachelor of Psychology. She continues to write new plays and films, and study at the Howard Fine Acting Studio, where she also sits on the Board of Trustees. Jessica is also the Chair of independent theatre collective North of Eight, founded in 2016. In 2018, she was the sole playwright from Australia who was invited to attend the Last Frontier Theatre Conference, held annually in Alaska, for her new play Sisters, Inferno. She is fuelled by a passionate drive to continue learning and training at every opportunity.